the finest of materials, that everyone can afford to buy"
Macmillan-Clare is a husband and wife team of designer goldsmiths. We have been creating fine jewellery, both separately and together, for over twenty years. Trained at Medway College of Art and Design, (now the University for Creative Arts at Rochester in Kent), we initially traded independently as Fenella Macmillan and Tony Clare: between us working in the US, Canada, Spain, India, and the UK. We have contributed to exhibitions at the Platinum Guide and the Victoria & Albert Museum, and our awards include the Goldsmith's Craft Council, the Platinum Guild, and Intergold. We have been supplying shops and galleries across the UK, Ireland and the Channel Islands, with jewellery from our respective workshops since the early 1990s, before joining forces as Macmillan-Clare from our joint studio in Staveley, Cumbria in 2000. Both of us have always wanted to make jewellery that 'everyman' can afford; we believe that bespoke jewellery should not be limited to those who are very wealthy and that every one should be able to have jewellery - especially wedding/engagement rings, that are not the same as those that thousands of others are wearing. 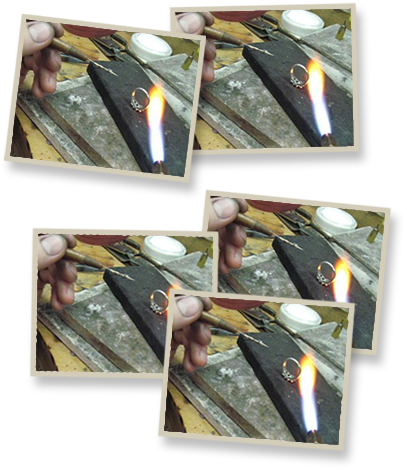 We hand craft everything, from rings to necklaces. We work in 18 ct. gold, platinum or silver and often employ diamonds and precious stones, or our signature mixture of metals. 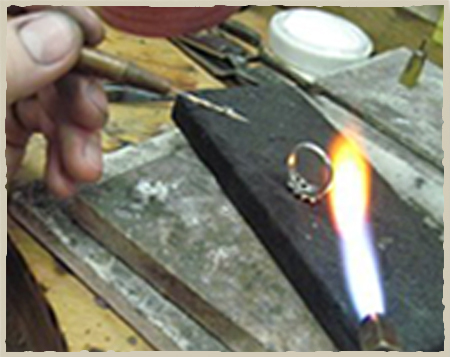 One of our specialities is the manufacture of individually made rings which intertwine 2, 3 or 4 colours of gold, or gold combined with platinum. We also design and make individual pieces, based on our own collections or designed to clients' specifications. Our wedding rings are popular, unique and made to order with Fenella's intricate and delicate designs contrasting with the simplicity of Tony's contemporary bespoke rings.